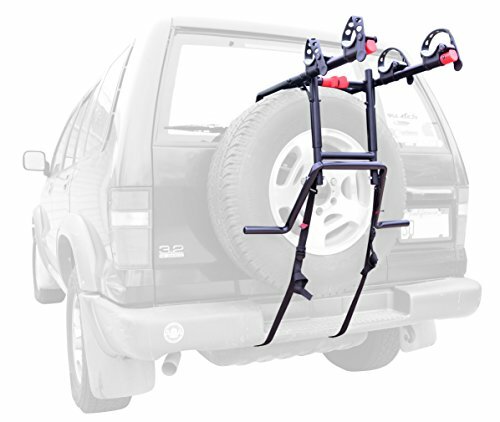 Allen's premier 2-bike spare tire mounted carrier delivers incredible ease of use with our patented quick-set up design, along with our dual compound tie-down cradles to fully secure and protect your bicycles. The extra wide bottom foot helps to fully distribute the load of your bicycles on your rear spare tire. Allen's premier series of Racks are packed full of innovative features derived of our nearly 50 years of manufacturing rear mounted bicycles. All items are backed by our exceptional customer Service and our lifetime warranty. Manufacturer: R. A. Allen Co., Inc. Publisher: R. A. Allen Co., Inc. Studio: R. A. Allen Co., Inc.